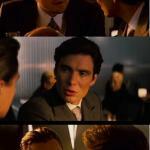 WOMEN WERE NOT MADE FROM HIS FEET, SO THAT MEN COULD WALK ALL OVER THEM, AND NOT HIS HEAD, SO THAT SHE COULD OVERULE THEM. GOD MADE THEM FROM THE RIB, SO THAT THEY COULD WALK SIDE BY SIDE. 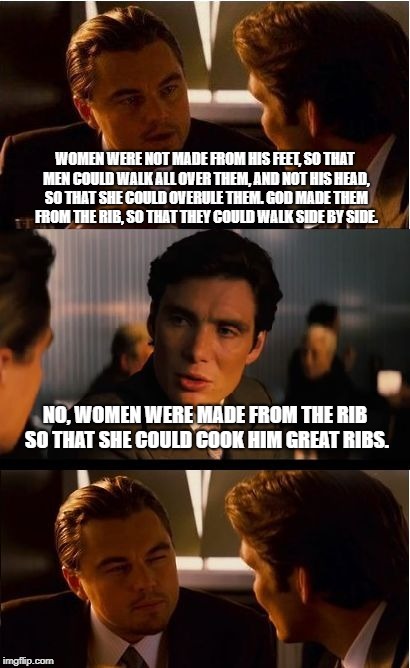 NO, WOMEN WERE MADE FROM THE RIB SO THAT SHE COULD COOK HIM GREAT RIBS.